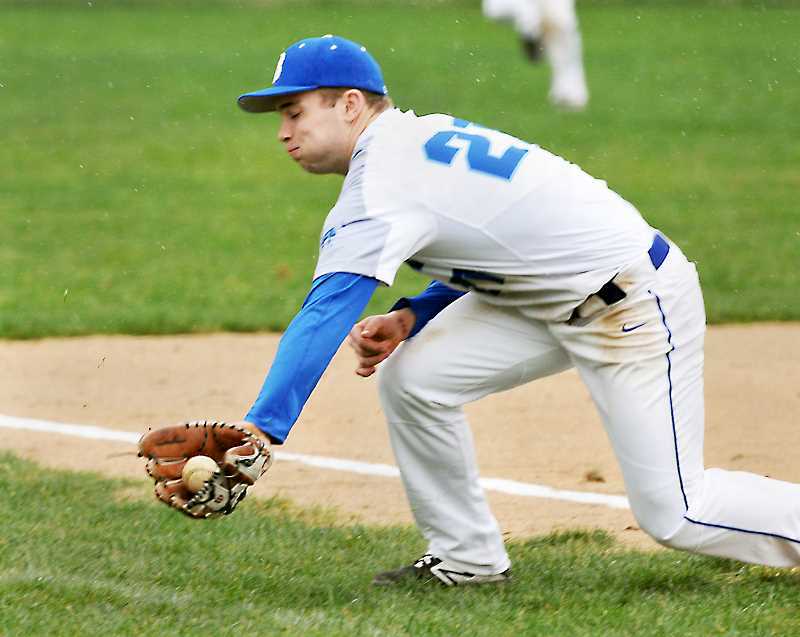 With its only slip-up coming in a 10-7 loss to Santiam on March 18, St. Paul baseball is feeling good in the early portion of the 2019 season. The Bucks are 5-1, 2-0 in 1A Special District 1, and would probably have another win on its schedule were it not for the postponement of its March 21 game against Gaston due to darkness. That game — currently 6-3 St. Paul in the bottom of the fourth inning — will likely be finished at a later date. For now, the Bucks are focused on an important trio of games this week in Salem. St. Paul faces 2A Toledo and 3A Salem Academy on Tuesday and Wednesday, followed by a duel with 3A Amity/Perrydale on Thursday. The games are part of the Volcanoes Spring Break Tournament and will be played at the home of the minor league Salem-Keizer Volcanoes. "We're going to face some good teams in this tournament," St. Paul coach Dwayne Nowlin said. "They have a lot of talented pitchers by the looks of it, and we're going to have to be ready for that." The Bucks scored 13 runs or more in three of their five victories this season, showcasing a scoring ability that Nowlin said to watch for during the preseason. The way it has been coming to fruition has been on the base paths, though, just as often as it has from the ping of the bat. According to Nowlin, St. Paul stole 12 bases in its 13-3 win over Gaston on March 19 and stole another nine in game two on March 21. The Bucks, he said, have only been thrown out once all season when attempting to steal. "We're just getting great jumps, great leads and scoring a lot," Nowlin said. "We're hitting the ball really well and scoring in different ways, whether that's sacrifice bunts or double steals or with the bat. We're in a really good spot right now." St. Paul's game against Toledo begins at 9 a.m. on Tuesday. The Salem Academy game is scheduled for 2 p.m. Wednesday, and the Amity/Perrydale contest starts at 11:30 a.m. Thursday.